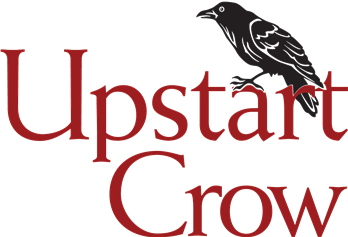 Upstart Crow Studios Children’s Theatre is a non-profit youth performing arts organization. Upstart Crow Studios Children’s Theatre provides a variety of theatre education and performance opportunities, including opportunities in theatre, dance and music, through theatre productions, classes, workshops, and summer camps. Upstart Crow Studios Children’s Theatre’s goal is to allow all children, regardless of income, ability, gender, etc., the opportunity to experience theatre arts. We have created a safe and inclusive environment for all children. We serve children 2-18 years of age. MISSION STATEMENT: It is our mission to provide access to professional arts education to all children. VISION STATEMENT: Using theatre arts as a learning tool, Upstart Crow Studios Children’s Theatre strives to empower children with critical thinking skills, self-confidence, and teamwork development.